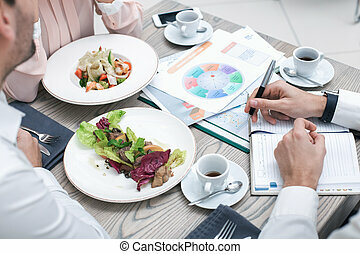 Business meeting in luxury restaurant. 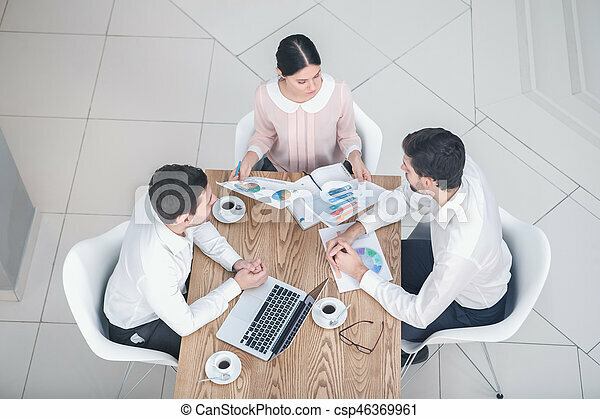 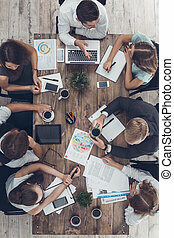 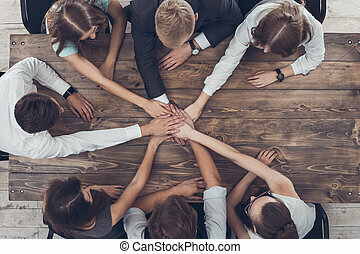 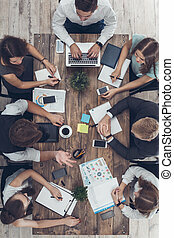 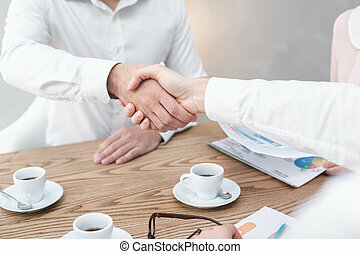 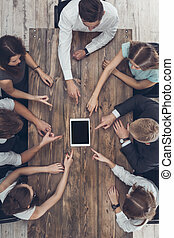 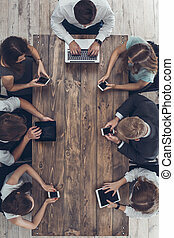 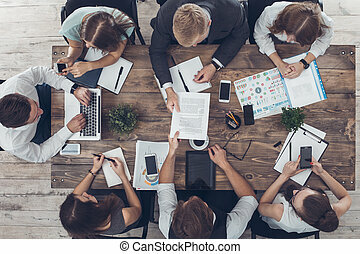 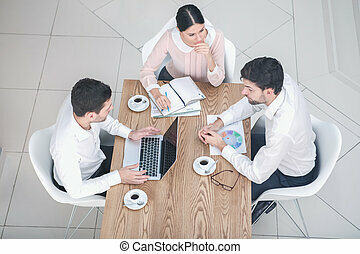 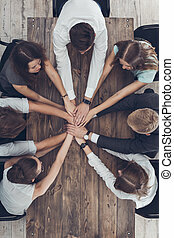 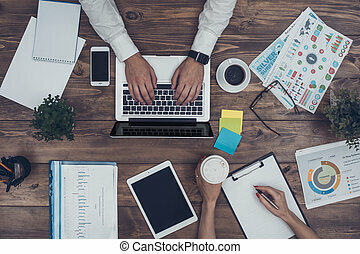 Top view photo of business meeting. 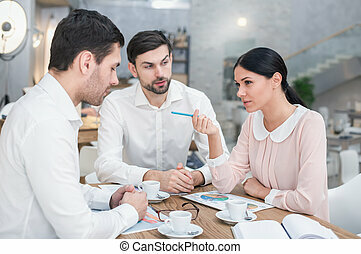 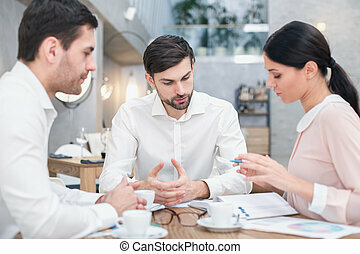 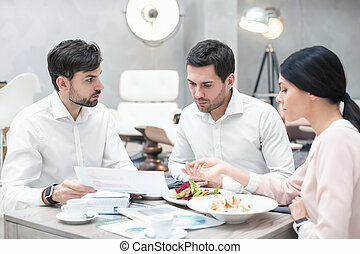 business team discussing strategy. 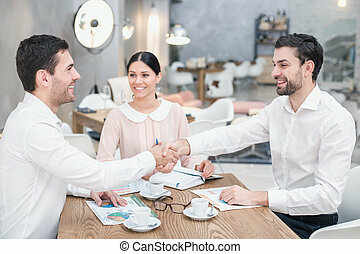 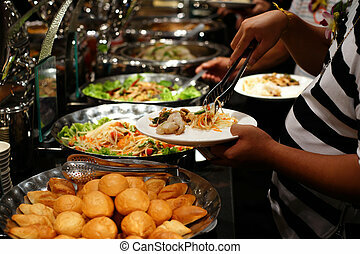 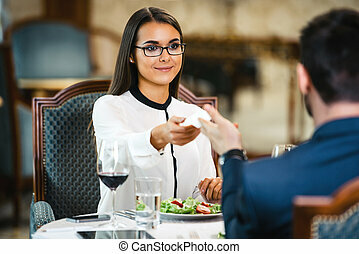 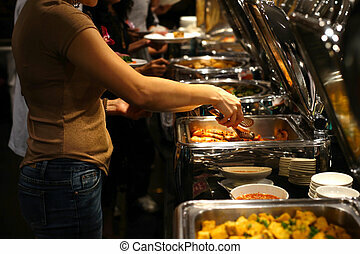 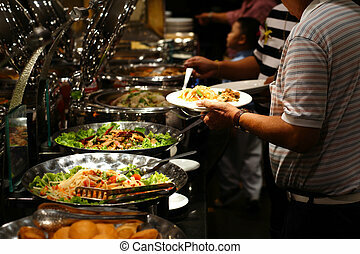 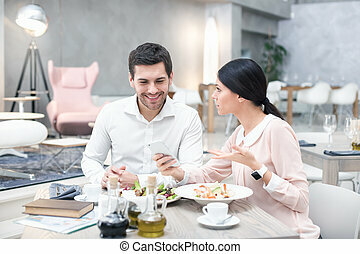 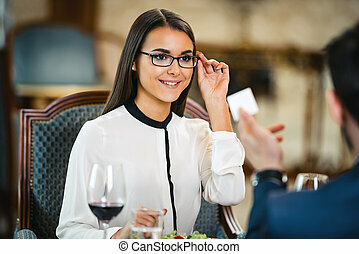 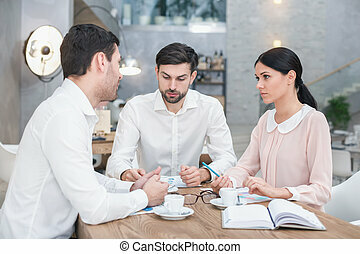 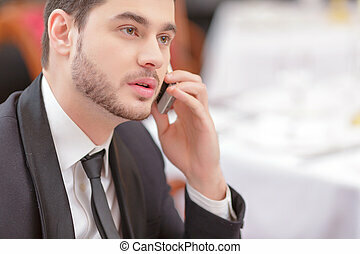 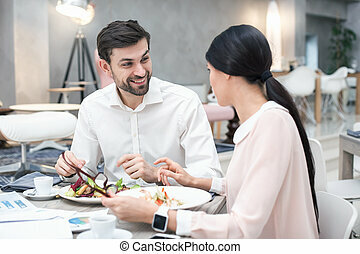 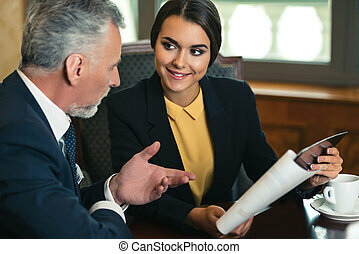 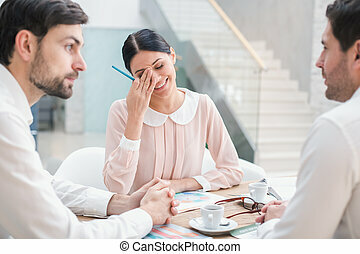 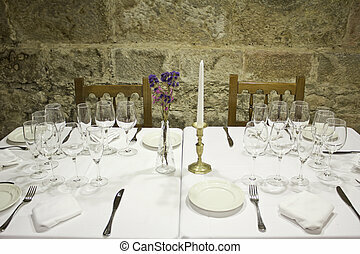 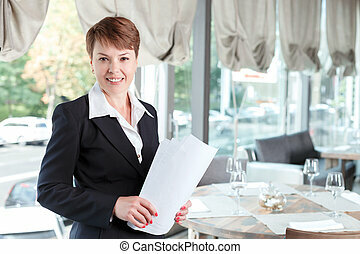 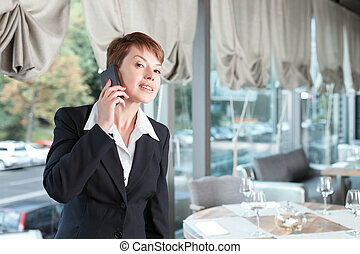 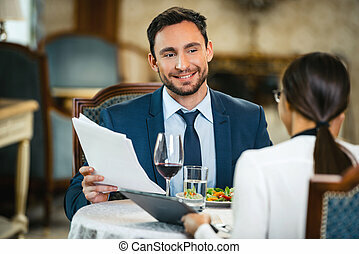 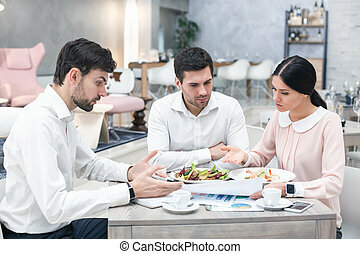 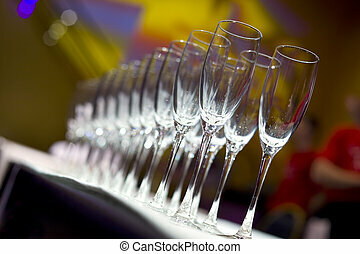 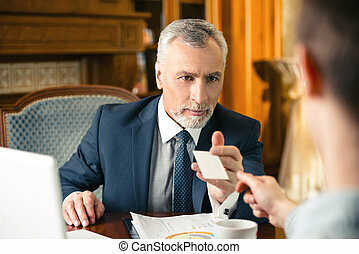 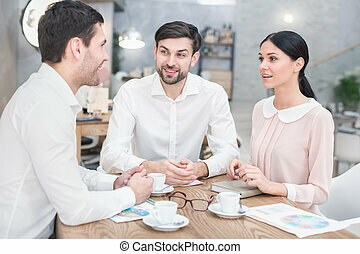 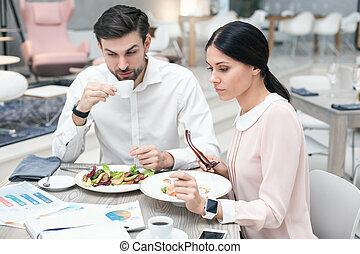 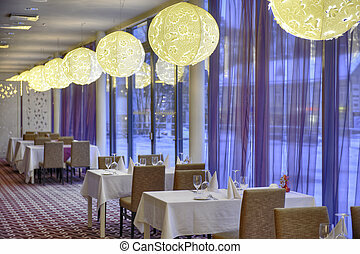 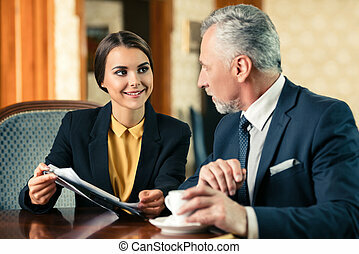 businessmen and woman in luxury restaurant. 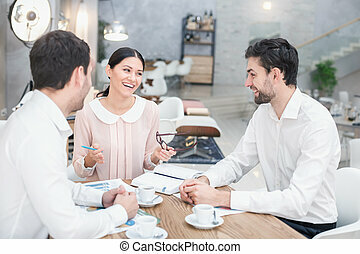 they having coffee.